Develop the necessary knowledge and tools to achieve reliable in-situ dynamic testing and data analysis methods that can be used to characterize and label the effective energy performance of building components and whole buildings. Develop procedures with the focus both on the test environment and experimental setup as well as on the data analysis and performance prediction. More Information about this Annex 58 can be found at the Annex 58 website. Organisations or people interested in joining the Annex 58 should contact Staf Roels gustaaf.roels@bwk.kuleuven.ac.be. The outcome of the workshop, on ‘Full scale test facilities for hygrothermal analysis’, March 30-31 2011 in Brussels with the support of K.U.Leuven and UGent resulted in a colorful book on European outdoor test facilities that can be downloaded from here (31Mb PDF) or requested from arnold.janssens@ugent.be. 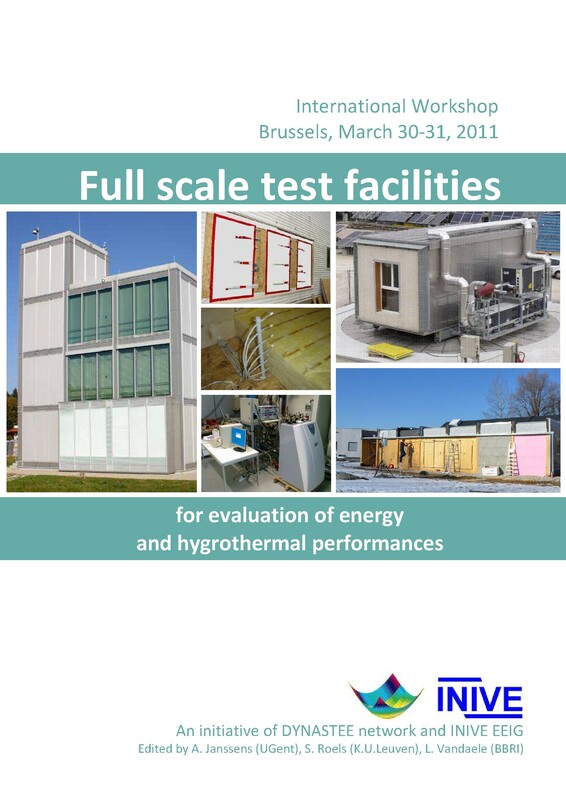 All papers and presentations from the workshop on ‘Whole building testing, evaluation and modelling for energy assessment’ in Copenhagen 18-19 May 2011 can be downloaded from the website.